The kick off for BBQ season (aka Memorial Day weekend) is less than two weeks away. This time of the year is known for smoked meats, hamburgers, hot dogs, fried chicken and sausages of every imaginable flavor. Always available are delights like baked beans, pasta salad, macaroni salad, and coleslaw. Since I’m about to be buried alive in delicious fattening food on sunny weekends with friends and family, I decided to take a stab at a dish that will warm you up on these last few cold Spring nights. 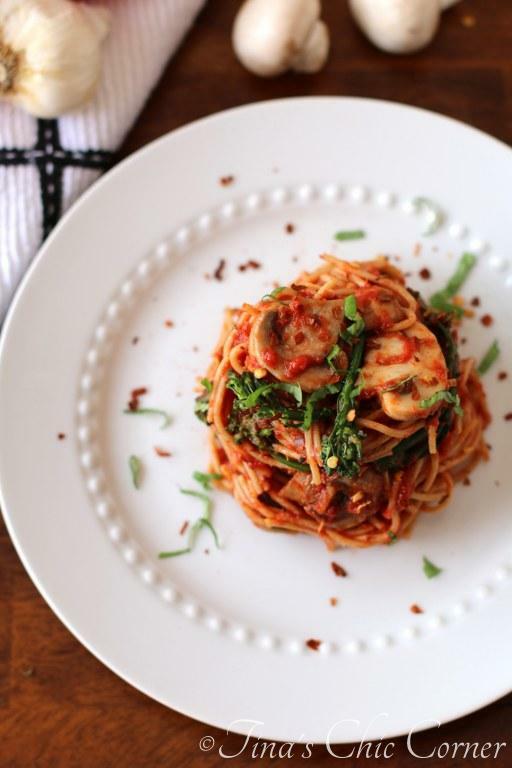 This pasta with roasted broccolini and mushrooms is covered in a spicy tomato based sauce. Add the chopped onion and cook until slightly browned. Add the minced garlic and cook briefly. Add the tomato paste, crushed tomatoes, brown sugar, chopped basil, crushed red pepper, pepper, and salt and stir all of the ingredients together. Reduce the heat to Low and cook the sauce for about 20 minutes or until the sauce has thickened. 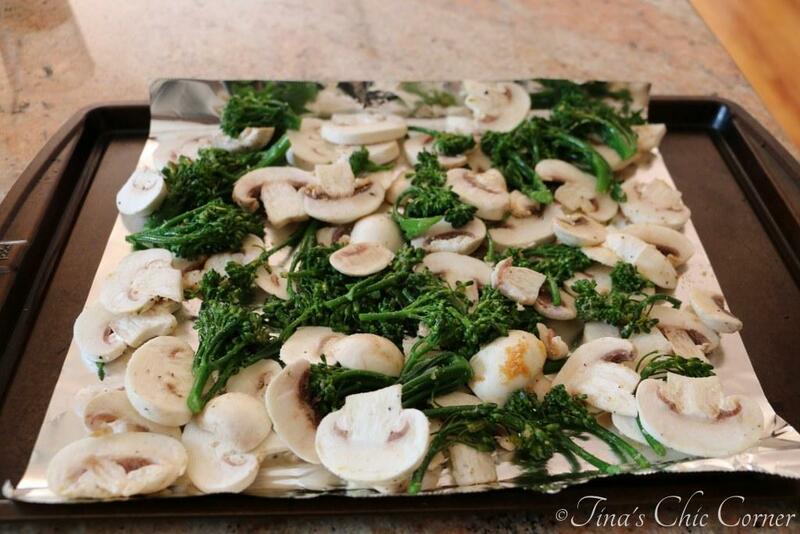 In a medium bowl, mix the broccolini, sliced mushrooms, oil, onion powder, and garlic powder. Place the veggies on a baking pan and bake in the preheated oven for about 15 minutes or until the veggies are slightly browned. Once the pasta is done cooking, drain the water. * Note: The sauce will soak into the pasta overnight. If you don’t think you’ll eat all of the pasta then I recommend adding the sauce directly to your plate and store the leftover sauce in a separate jar in the refrigerator. 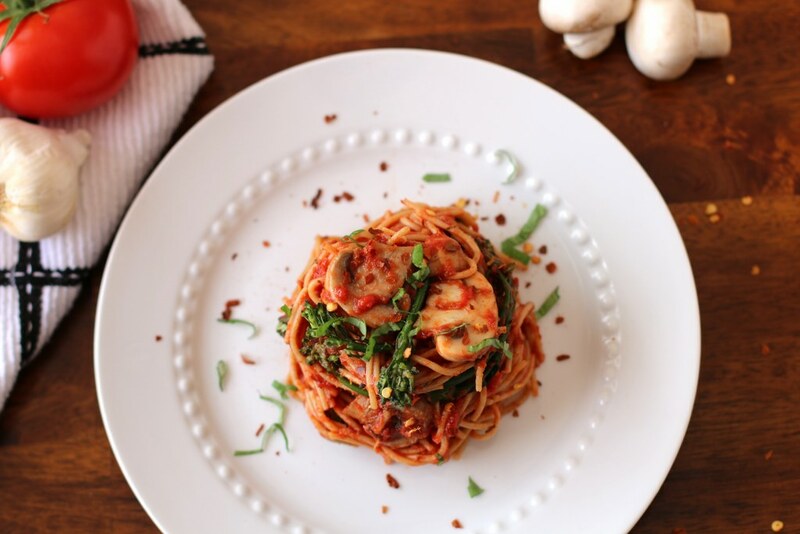 If you like spicy food then Arrabbiata sauce is the perfect Italian sauce for you. The beauty about making this at home is that you can control the spice-factor. I found 2 teaspoons of red pepper flakes to be spot on for me. It’s enough to know it’s spicy, but it doesn’t leave your mouth on fire. I don’t know about you, but while I love spicy food, I also value feeling my tongue. Sure I could have let the pasta stand on its own, but let’s add some fun veggies to make it more interesting. I roasted the broccolini and mushrooms to enhance their flavors. Ooh, broccolini… It sounds fancy, but it’s essentially broccoli with smaller florets and skinnier stems. I’m really loving this sauce! It’s loaded with so much flavor and it turns a simple pasta dish into a chic stop in flavor town. I don’t think that even makes sense, but it sounded good in my head. This sauce would be awesome on a pizza too! Mmm, from one carb dream to another. There is actually a local pizza place that will do that now that I’m thinking about it. My husband actually has ordered it with sauce like this and swears it makes more interesting pizza. Here are some other fabulous pasta dishes. I’m all about pasta! 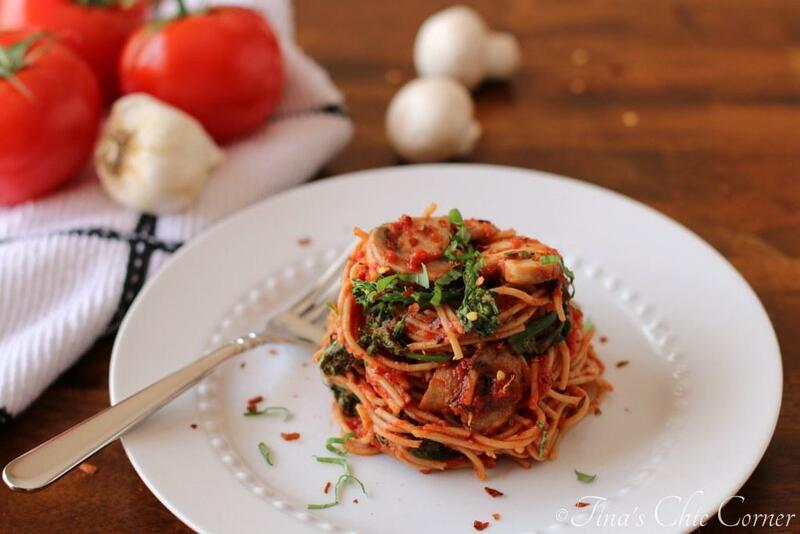 I swear tomato sauce runs through my veins….this looks like the perfect way to jazz up a typical spaghetti night! Very nice photos, too! My wife loves this spicy pasta. I really like how you plated it. 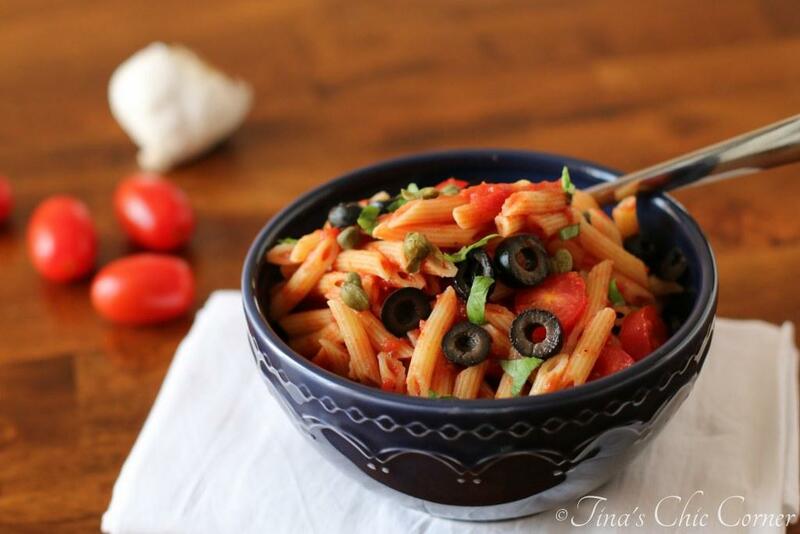 We love spicy pasta at our house! I actually haven’t made pasta in the last few weeks … which is just madness. This looks delicious! And I love that vertical shot at the beginning – gorgeous! I’m going to be buried alive too … mmm, potato salad and coleslaw are my two favorites! I really wouldn’t have guessed this was a lighter option – it looks like a fancy restaurant dish! We like spicy pasta. This looks so good, Tina! Nice photos. I am in love with this dish! Looks absolutely delicious! I just purchased some broccolini yesterday. I’m going to make this dish. Pinning!! I love arrabbiata sauce! The spicier the better. 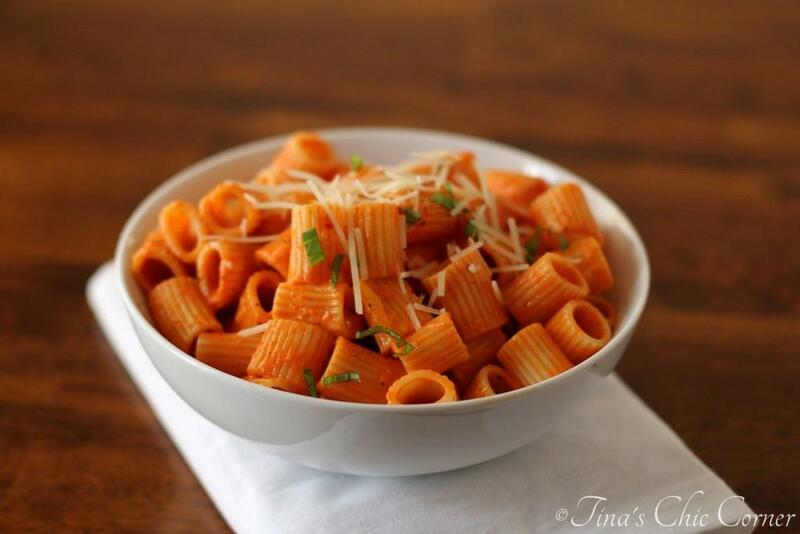 This pasta looks incredible, Tina! Awesome photos, too. Love this pasta/pizza sauce. With the fresh crushed red peppers and brown sugar I can just imagine how delightful it is. My boys love spicy things so this would be a big hit in our house. My boys have just started a low carb kick so hoping that I can give your sauce recipe a try over some roasted sausage stuffed peppers. Oooh, I’m coming over for dinner when you make the roasted sausage and peppers! 😉 I bet this sauce would taste delicious with it. Or maybe even over some spaghetti squash?? This gal LOVES spicy sauces! I’d probably drink this sauce. LOL. But seriously, this meal looks fantastic. Totally digging the roasted veggies, the sauce and the presentation. Great job, Tina! 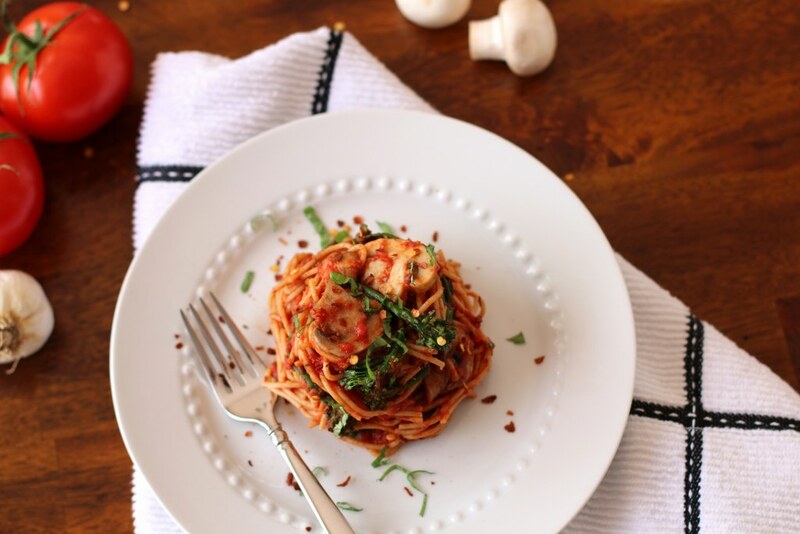 Look at your perfect pasta bundle! Yum!! 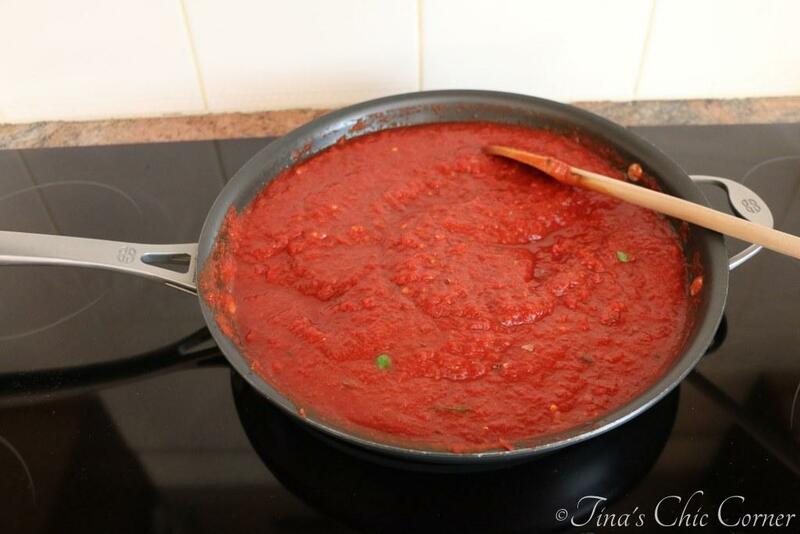 I love arrabbiata sauce – so good! This looks totally delicious Tina! Mmmmmm. Mushrooms and broccolini, and THAT SAUCE! Oh myy this pasta looks wonderful! I love broccoli and mushrooms + a spicy tomato sauce?! Amazing! I am looking forward to trying your simple but delicious looking sauce! Pinned! 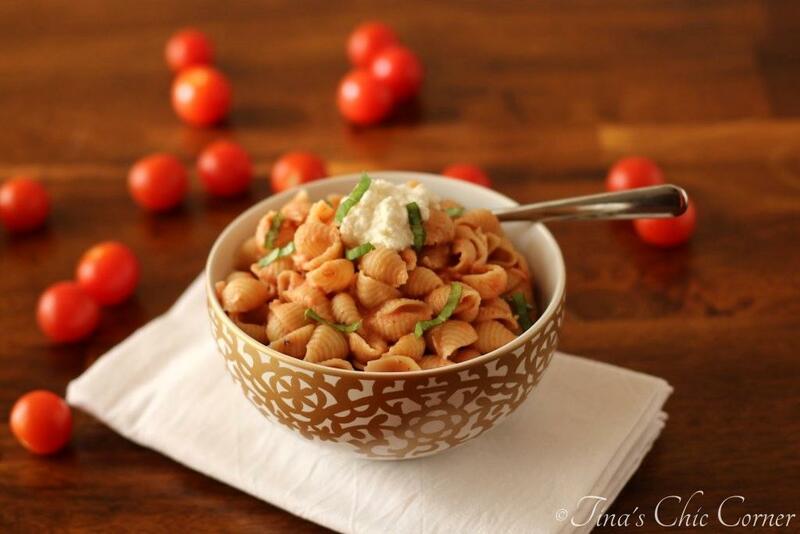 Love this yummy looking pasta…the sauce looks fabulous.Have a great holiday weekend.